Saturday, March 23, 7 p.m.
"It's not that people don't like classical music," Los Angeles Philharmonic Music Director Gustavo Dudamel told The Guardian in 2010. "It's that they don't have the chance to understand and to experience it." This quote encapsulates the challenge that one of the world's most revered art forms faces as it tries to reach a broader audience. Here at home, the Utah Symphony tries to rectify the situation on Saturday, March 23, when its Unwound casual concert series debuts. With a shorter run time, pre- and post-concert interactions and amplified visual elements, the program's first installment, featuring Rachmaninoff's Piano Concerto No. 2 and an abridged version of Andrew Norman's composition Play, presents a new opportunity for the Utah Symphony. 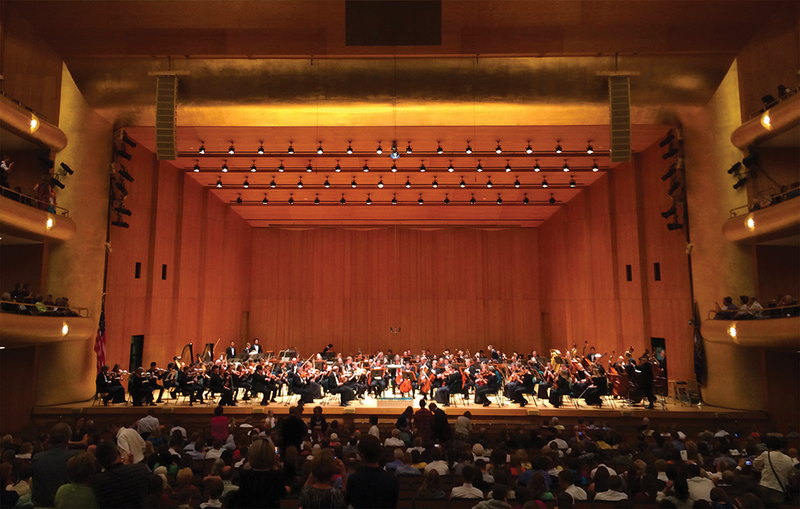 "The idea is to deconstruct the taboos of the classical music concert-going experience," Jeff Counts, Utah Symphony general manager and Unwound host, says. "The trappings of the concert are what we're trying to dismantle and rebuild in a new way." Unwound's informal nature reflects a growing trend in the classical music community: the song may remain the same, but the manner in which audiences absorb that song changes to reflect our more experiential modern society. Counts emphasizes the fact that "the music's going to be just as great and the orchestra's going to be in top form, like always." But, he adds, "We want the lobby to be part of the experience." Jimmy Martin from GeekShow Podcast hosts a trivia night in Abravanel Hall's first tier room from 5:45 to 6:30 p.m. before the concert, beer is served at a cash bar and the principal performers of the evening stick around after the performance for a casual Q&A. "What we mean by 'casual' in this setting is really social," Counts says. "We want people to interact with each other and with the musicians, and talking about what they just heard and saw. The timing for this kind of thing has always been right; I don't know that now is any better than 10 years ago or 10 years from now. We're just finally getting our heads around this as a concept. We're really excited to bring it to audiences, and I hope it has a long, long life. I don't think this'll ever not be a great addition to our offerings." During Rachmaninoff's Piano Concerto No. 2, Thierry Fischer, Utah Symphony's conductor and music director, leads the orchestra with guest pianist Alexander Gavrylyuk. Although Rachmaninoff first wrote the concerto during a low point in his career, it eventually grew to become one of the classical repertoire's most popular pieces. "We're excited to present this very famous concerto in a new way," Counts says. "The video element will show [the pianist's] hands while he works, and we're really hoping to put that risk and reward of what it takes to be a classical musician on display for the audience." After an intermission, the show concludes with Utah Symphony Composer-in-Association Andrew Norman leading the orchestra in a performance of Play, a cycle of pieces he wrote over the course of several years that explore the idea of choice, chance, free will and control. "[Play] is about how technology has rewired our brains and changed the ways we express ourselves," Norman says of the piece. "[It's] about the blurring boundaries of reality in the internet age, the murky grounds where video games and drone warfare meet, for instance, or where cyber-bullying and real-world violence converge." Counts believes such a dual-pronged performance is perfect for today's open-minded listeners. "It's an example of the traditional and the new," he says of the Rachmaninoff-Norman pairing. "I don't want to say non-traditional because Andrew's music is certainly written in the traditional vein for a full orchestra. It's meant to display the same emotional complexity of anything that Rachmaninoff wrote. What's different is that it's new; Andrew's music is written in a language that's very contemporary, and he's still alive and can talk to audiences about it, which is exciting. It was important to us to juxtapose the old and the new in this sort of innovative way." The incubation period for Unwound pushed the envelope, as well. Counts says the planning stretched across a full year, which represents a quick turnaround in the classical world; symphonies often plan two to three years out and treat the rollout of new performances with extreme care. While the March 23 edition of Unwound is the only one on the calendar so far, Counts says planning is already underway for 2020. "I hope we do it for 10-15 years," he adds. "I think the idea of highlighting the visual aspect of what orchestras do is really fun, and I hope that has a long life here." That "here" is just as important for the Utah Symphony, which has called Abravanel Hall home since 1979. "Abravanel Hall works best simply because it's our home," Counts says. "It's where the symphony rehearses. It's where they sound their best. It was acoustically built for us. We want the orchestra to be in its purest place. To do that, we need to be in our space." It's the lobby, Counts adds, that will allow Unwound to truly stretch its legs. "Abravanel Hall's lobby is gorgeous," he says. "It's the right size—it feels intimate but it's also got enough space for people to mill around and talk to each other." Opening the door is the key to Unwound. It's the other parts of the classical music concert that can be intimidating, Counts says: "What to wear, when to clap, how to behave ... We're stripping away all those things so that people can respond to this in any way they like." Counts believes the members of the symphony themselves are just as excited about the new potential, too. "They want new people to experience what they do," Counts says. "If providing a new door to better listening brings in people who haven't experienced our art before, that's a plus. Any time we get new fans, new followers and new supporters, the orchestra is fully on board with that."